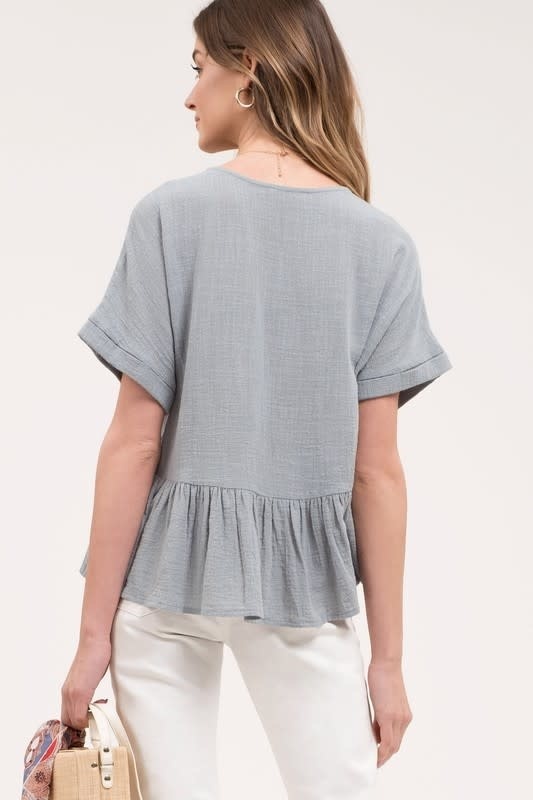 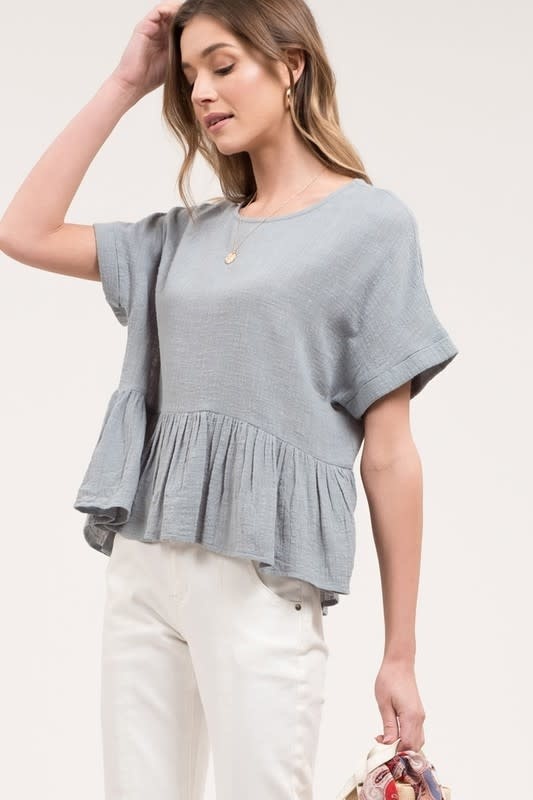 This sage blue, linen blend top is the perfect color for spring. Pair it with your favorite white jeans, add a pair of sandals and you're ready to go! Image Boutique Gainesville: 108 Washington St NW, Gainesville, GA 30501.